Looking for a memento to take home from your next Mexico volcanoes climbing trip? 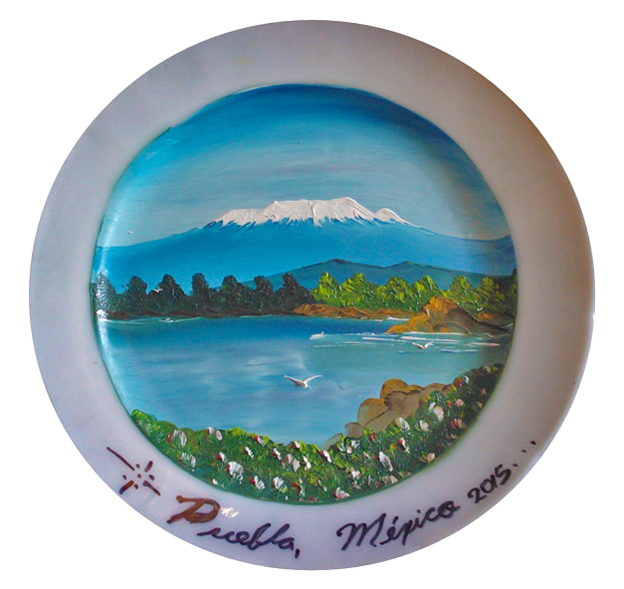 Seek out Puebla’s Plate Lady, Concepcion Perez, who will paint you a custom plate of Izta, Popo, or Orizaba. She uses acrylic oil-based paint and uses her fingertip and fingernail exclusively to create hauntingly beautiful custom plates. 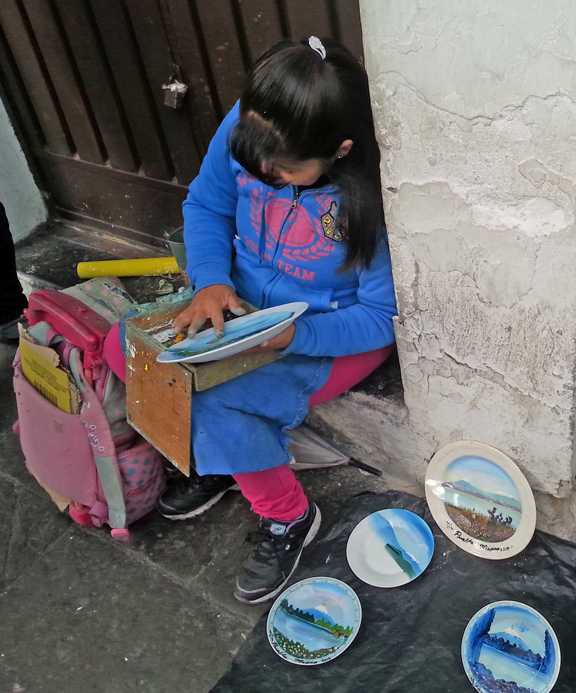 She sits on Puebla’s northeast corner of Calle 6 Norte and Avenida 2 Oriente, at the south end of the street market alley. From the main square and cathedral, walk 3 blocks southeast, then a block northeast. Concepcion charges about 150 Pesos (US $12) for a larger plate, and about 70 Pesos (US $5) for a smaller plate. 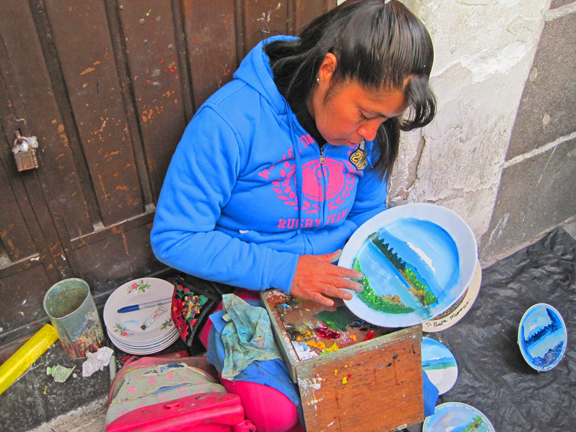 She can paint a plate in less than 30 minutes. Concepcion can identify the peak you request, and perhaps even sign and date the plate on the reverse side. Concepcion does not speak English, so it may be helpful to have a person in your group who can speak a little Spanish. 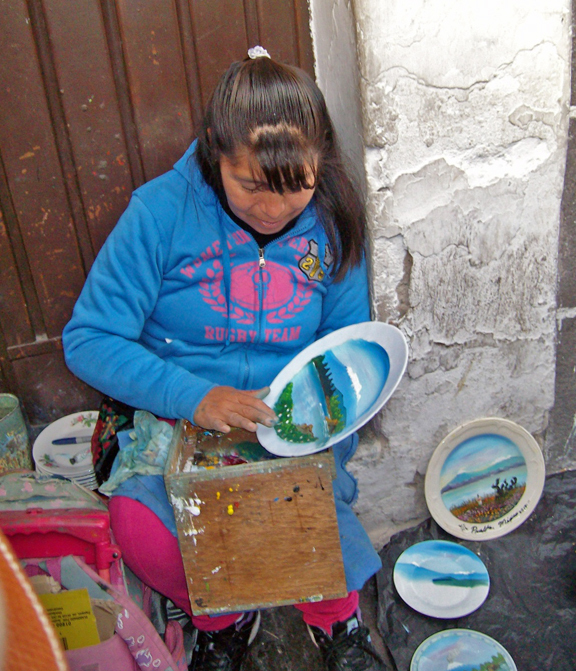 She generally keeps a half-dozen samples of her artwork near her, but is always happy to customize a plate. 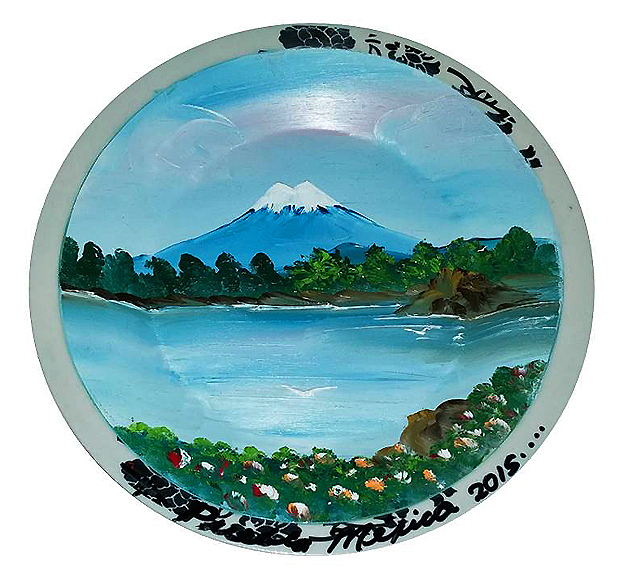 In just a few hours, she created eight custom plates of Orizaba for one group in January, 2015. Copyright © 2015-2019 by Gerry Roach. All Rights Reserved.